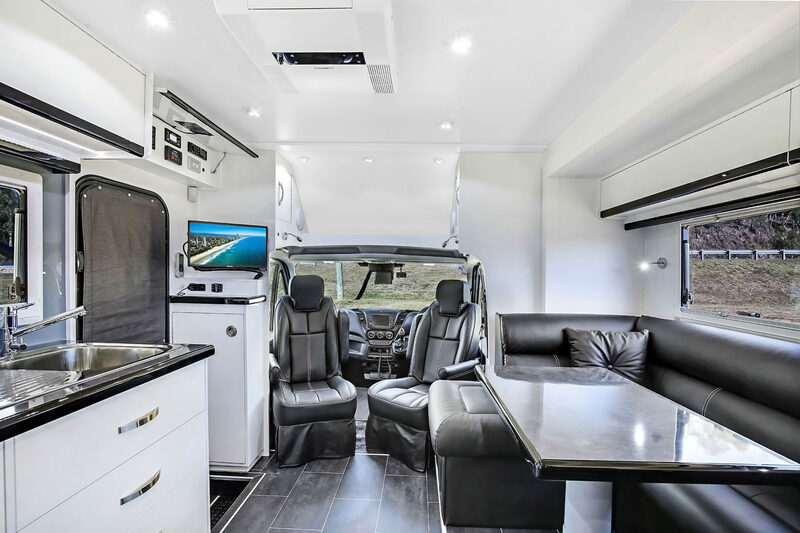 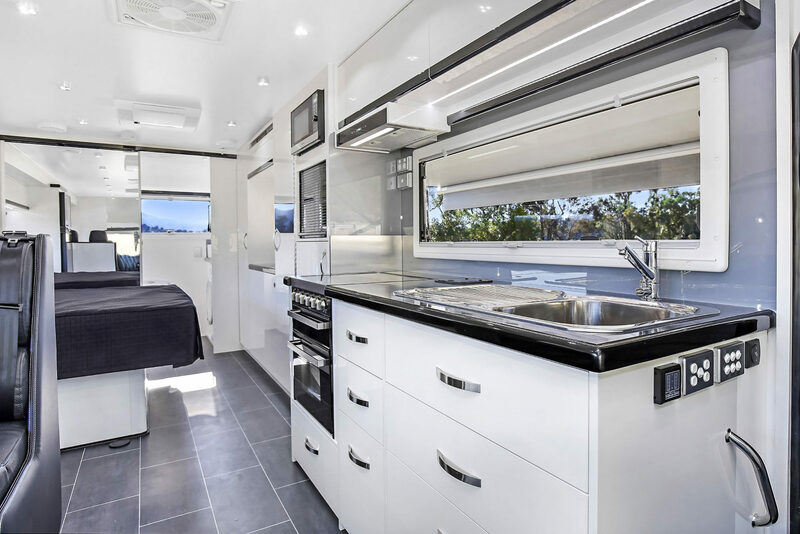 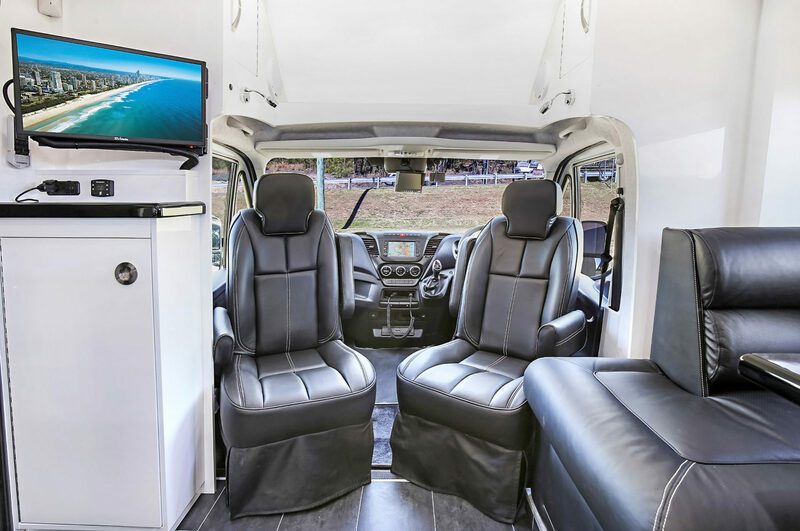 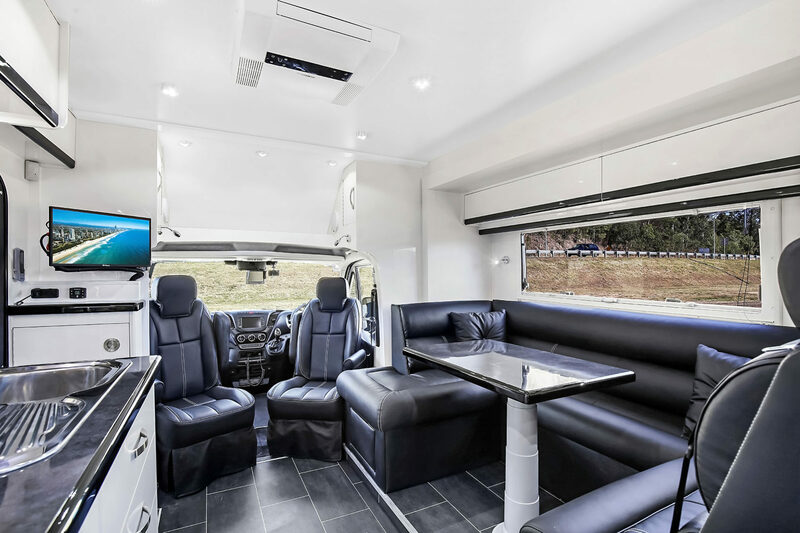 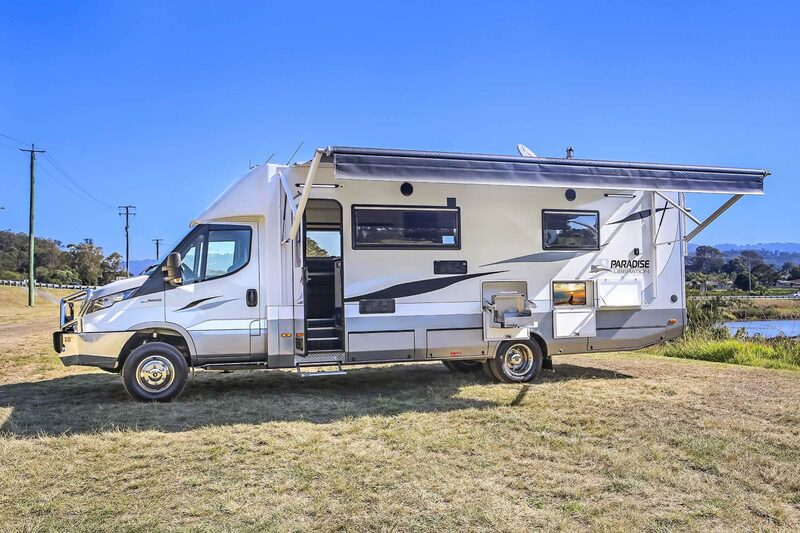 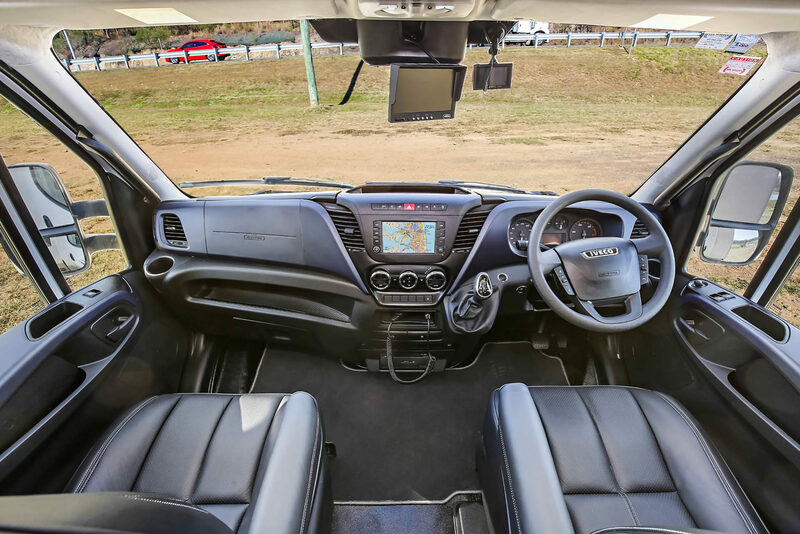 This exceptional motorhome is driven on a light rigid licence and is a true pleasure to drive with car-like performance, excellent economy and super driveability. 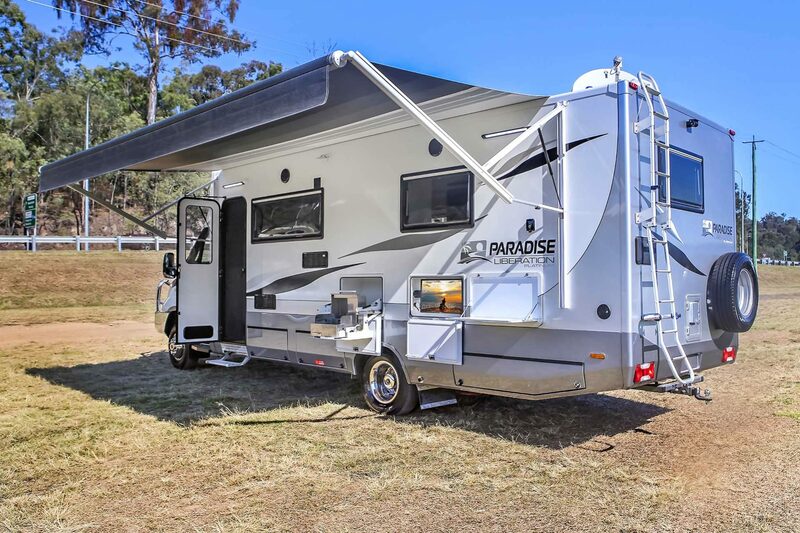 Individually handcrafted using Paradise’s high strength, lightweight construction and patented slide-out technology, we have created two strikingly spacious floorplans with incredible strength, insulation and safety. 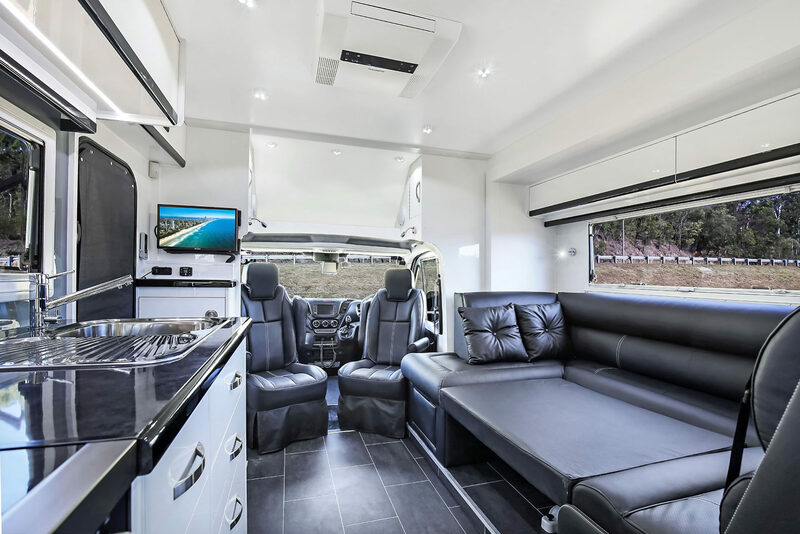 The 28ft Liberation series features an enormous 5.1m slide-out. 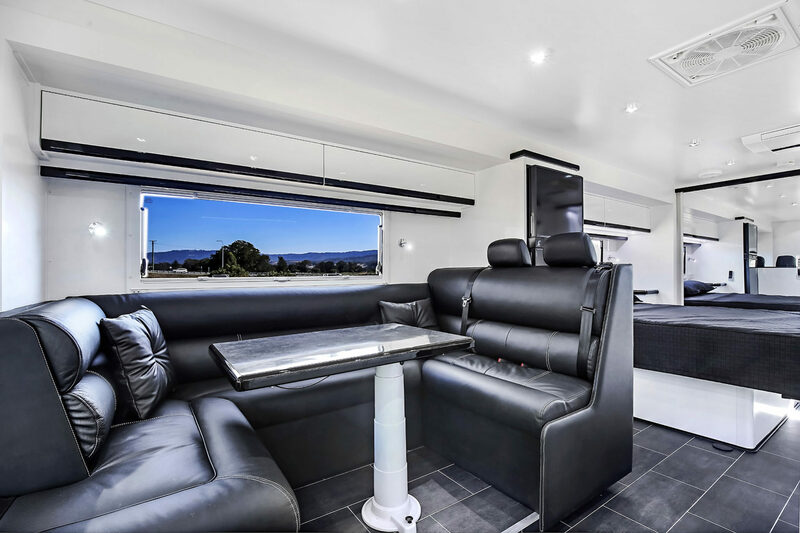 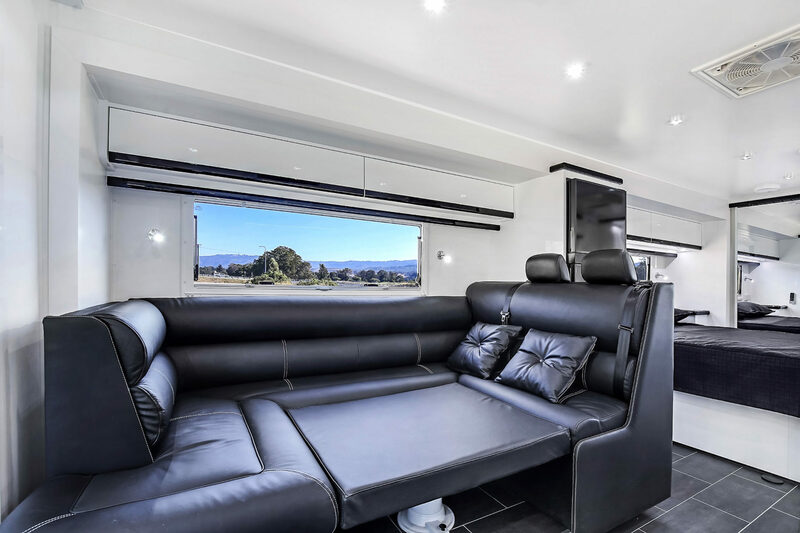 The luxurious living area has the option of either club or cafe leather lounge which can be converted quickly into an additional double bed for the unexpected visitor. 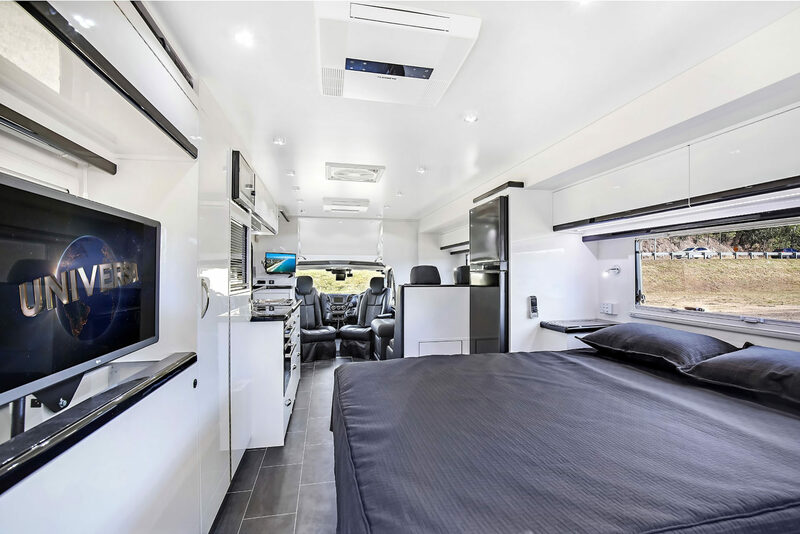 All accompanied by an impressive 32” Full HD LED flat screen TV in the bedroom, entertainment system with surround sound, island bed, generous wardrobe and drawer space, large well-appointed ensuite, gourmet kitchen and comfortable dining. 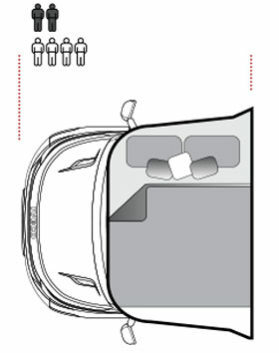 C – Class Luton Peak double bed option. 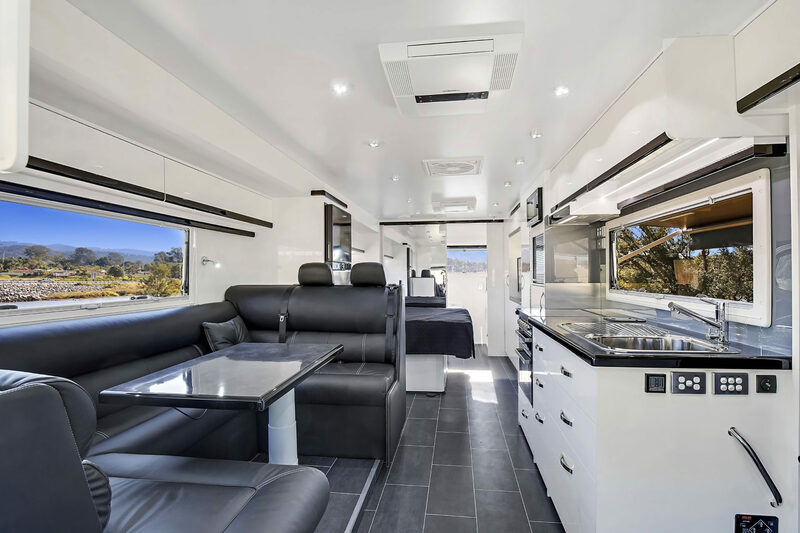 Available on all floor plans of the Liberation series. 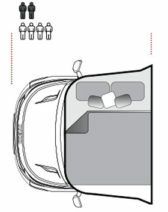 Increases Tare weight by 366kgs inclusive of the two additional passengers. 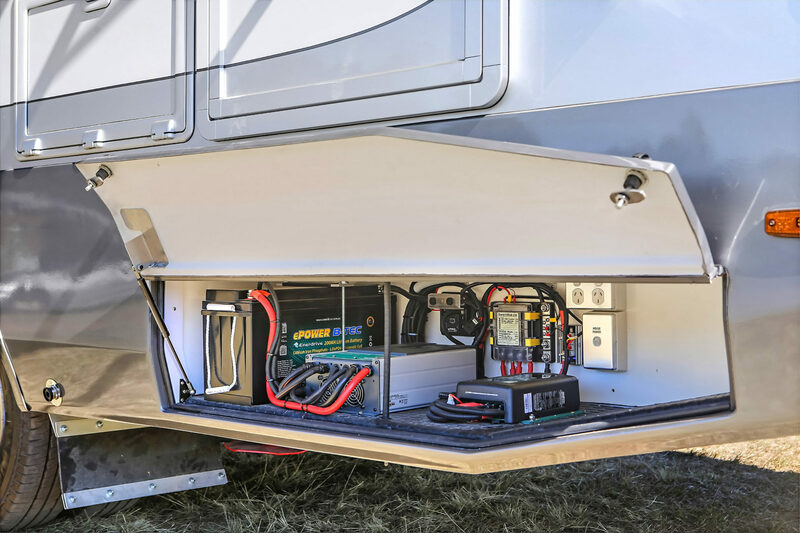 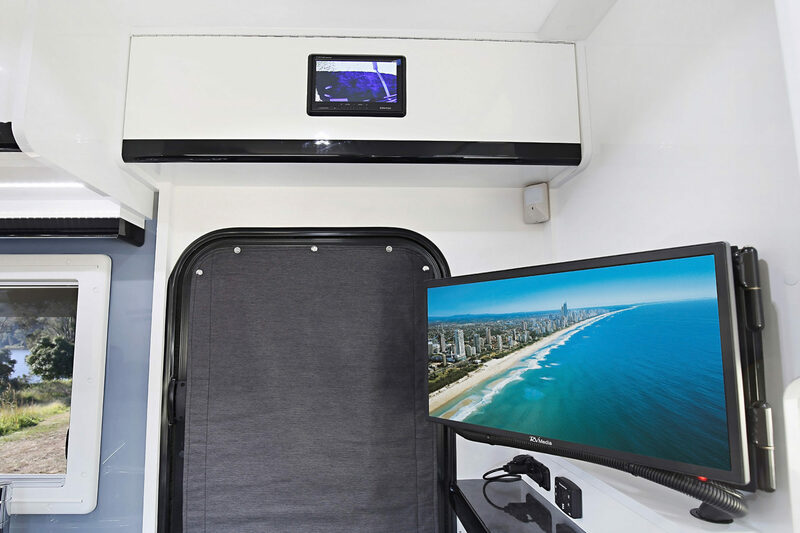 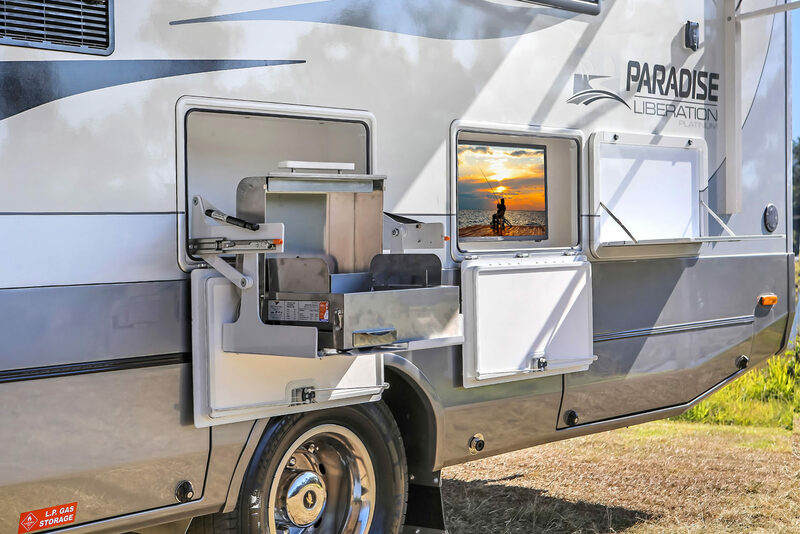 Click play to begin exploring the Liberation series motor homes. 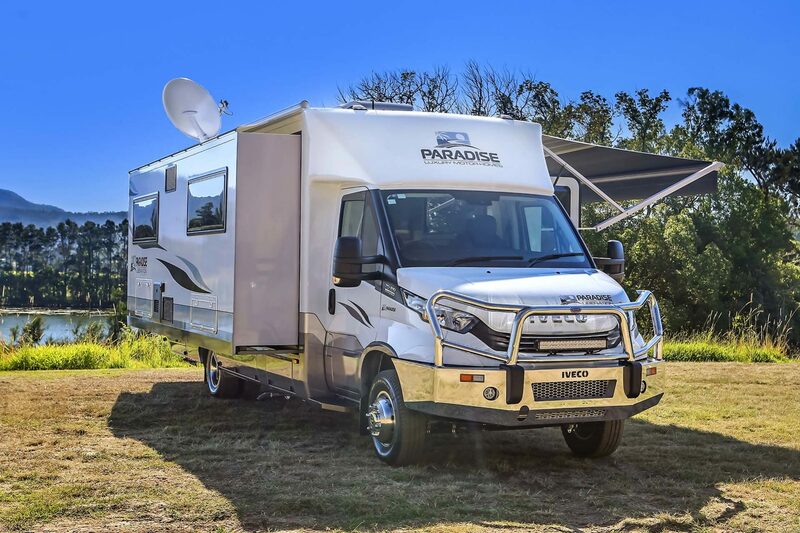 Paradise motorhomes understands that every customer has different needs, for a list of available options and prices please contact one of our friendly sales staff. 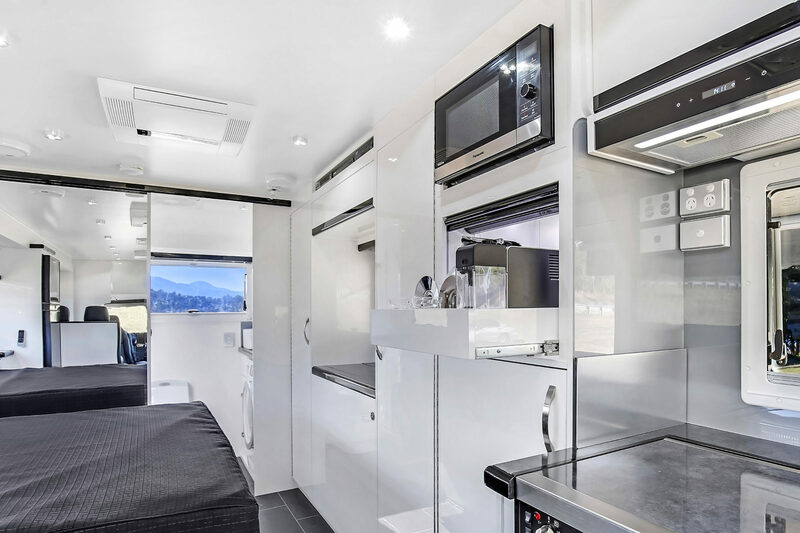 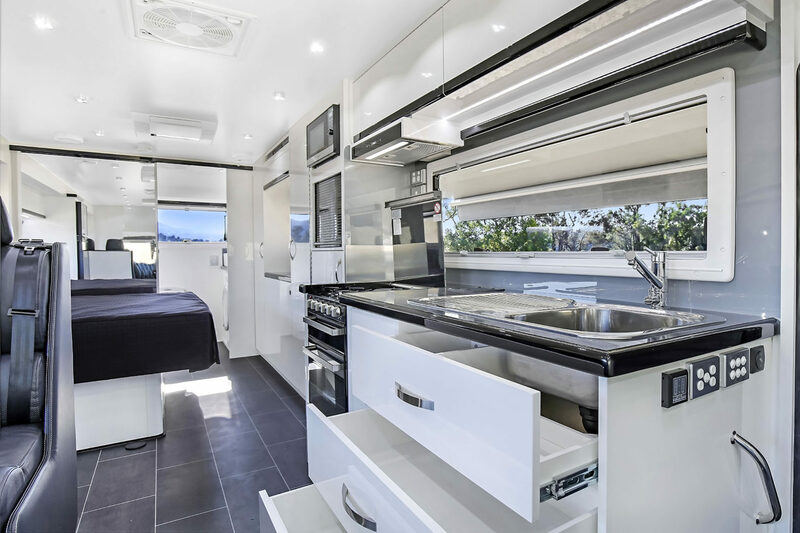 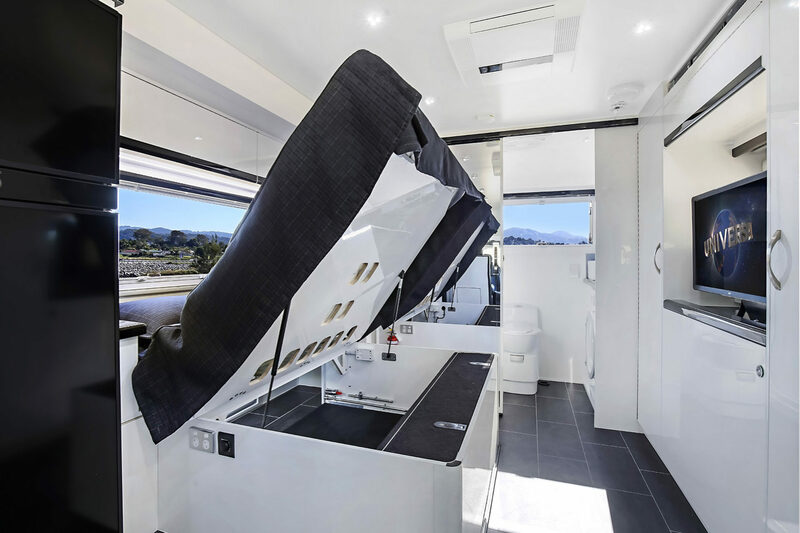 Contact us today to enquire about this motorhome range or to request a current brochure. 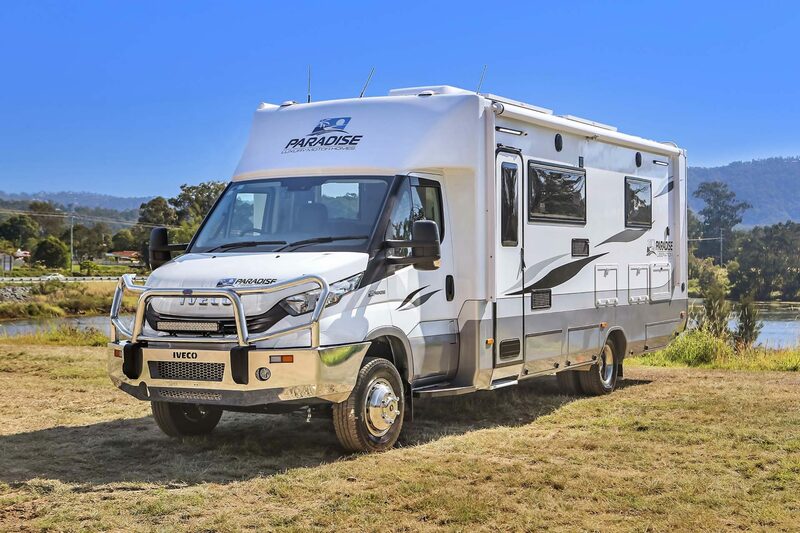 Please call us on (07) 5597 4400 or use our contact form below.